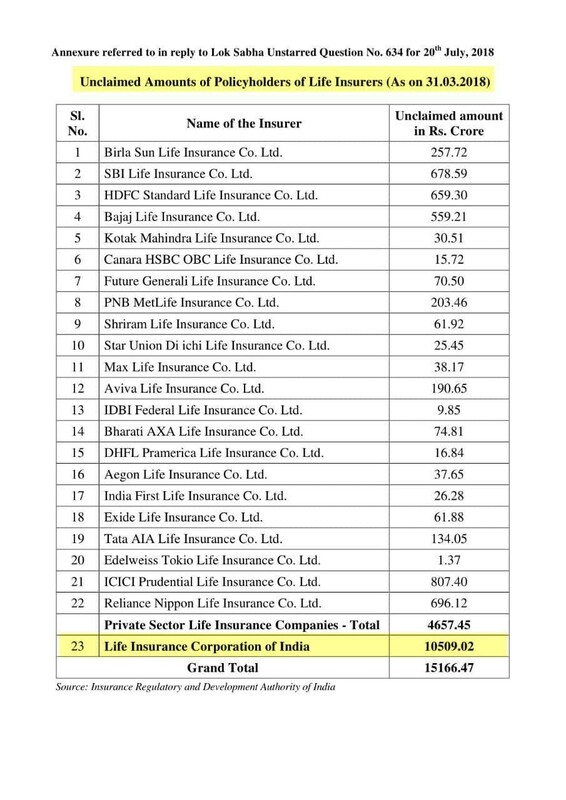 Home > Life Insurance > Life Insurance unclaimed Amount Rs.15166 Cr, LIC of India Rs. 10,509 Cr. Life Insurance unclaimed Amount Rs.15166 Cr, LIC of India Rs. 10,509 Cr.